With over a quarter of a century in the business, Dwight Dykeman has seen it all. Self-proclaimed as “stubborn”, he’s never seen a problem he’s given up on. Joining what he calls a well-established team, Dwight brings a ton of experience and know how to get the job done. Dwight believes in prevention and is proud of the work that he does in conjunction with public safety to ensure that residents of Moncton, Dieppe, and Riverview have safe drinking water. From nearby Salisbury, Dwight enjoys spending time with his wife Jennifer and his four kids, Jacob, Riley, Noah, and Abbie! 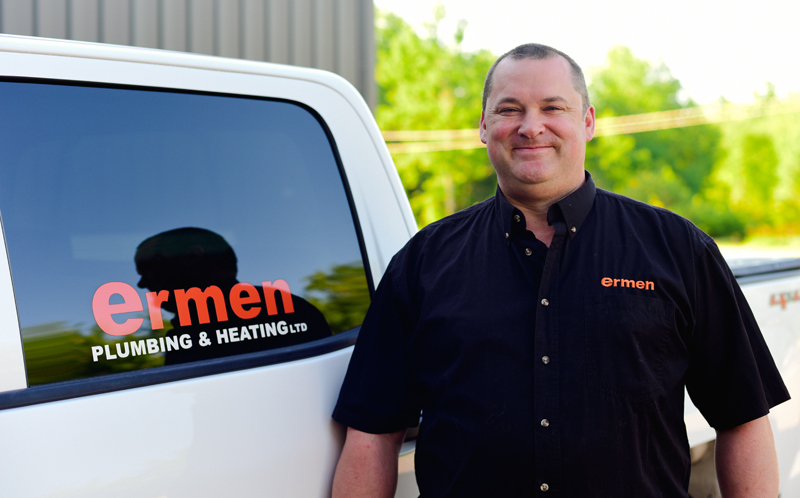 The next time you have a plumbing challenge, call Ermen and Dwight will be on his way.